Who We Are — Canvasback Missions, Inc.
Canvasback Missions, Inc. is a nonprofit 501(c)3 organization founded in 1981 to serve remote Pacific islands with needed health care and health education. What started out as a dream changed into a 71-foot catamaran, and has grown into so much more. In the mid 70's, mission founders Jamie and Jacque Spence gave up professional careers to sail the Pacific. They wanted to find meaning for their lives and, over the course of seven years, found islands populated with incredible people. During their travels, they listened to the stories of the people they met and began to understand their situation. Seeing the great need for specialized surgery teams, Canvasback mobilized skilled doctors to provide care that was unavailable in the tiny hospitals of the Pacific. Returning to the United States, in 1981, Jamie and Jacque began construction of the 71-foot, aluminum-hulled Canvasback, one of the world's largest sailing catamarans. With donations of supplies and equipment from local businesses, plus more than 200 skilled volunteers, the vessel was launched on June 16, 1986. The Canvasback catamaran was uniquely designed to deliver free medical, dental, and eye care to remote islands accessible only by sea. She was staffed by volunteer physicians, dentists and seamen who brought healing and hope to the people of Micronesia. In 1993, Canvasback was invited to bring service to the marginalized outer islands of Chuuk (formerly Truk) State. Shortly after, they were invited to help establish community health centers in Kosrae. In 1998, after 14 years of island service, Canvasback's expanding programs had outgrown the catamaran. The sale of the ship provided the funds needed to continue building programs and services for the FSM and the RMI. These services include providing much-needed health care for the island people, continuing education for island health care workers, and supplies and equipment for island hospitals. In fact, between 2000 and 2004, Canvasback Missions provided more than $4.1 million worth of services to the FSM when calculated at low Medicare rates. Historically, the mission has been able to provide at least $4 worth of service for every $1 in donations received, making the mission an excellent vehicle for multiplying charitable dollars. After years of service in Micronesia, President and King Amata Kabua asked Canvasback to develop a diabetes reversal program for the nation. In 2006, we worked with the Marshall Islands Ministry of Health to open the Wellness Center, a year-round clinic that does lifestyle interventions for patients with diabetes and other non-communicable diseases (NCD). In many cases, the program – consisting of health education, diet change, and exercise – reverses diabetes in participants. 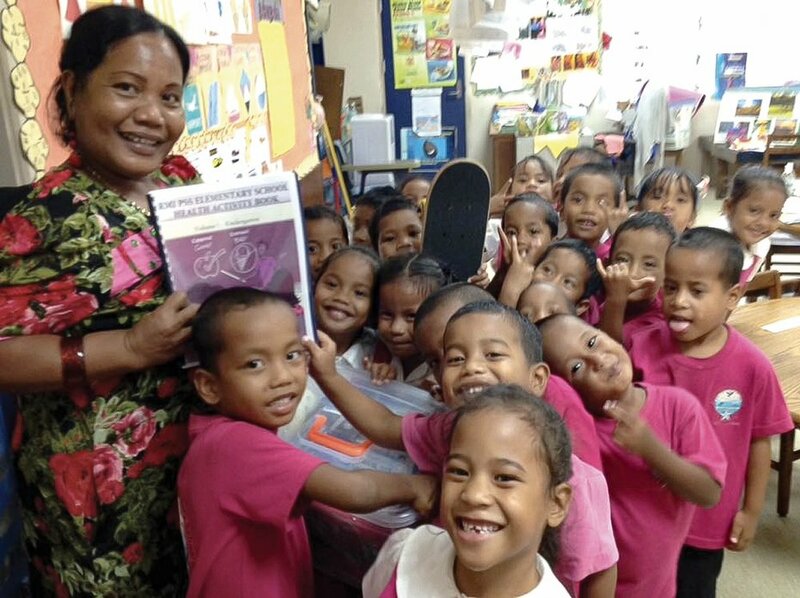 In addition to this, Canvasback is implementing a food education curriculum into public schools on Majuro and Ebeye, which will prevent many NCDs before they start. From a dream of a sailing ship, Canvasback has grown to much more - With staff in the United States and the Marshall Islands, as well as countless volunteers, businesses, and organizations from all over the world, Canvasback is able to affect change in Micronesia. Find out about the Canvasback Timeline, our Staff, our Board of Directors, and how you can get involved.